I am a granddaughter. Just like other grandchildren, I love my Grandma. But I failed to show it while she was beside me. Since childhood, my Grandma has lived with us in our home. She actively helped Mom and Dad in raising us and she was present during all the jubilant days of my early childhood. Before I entered high school, she shared with me how much she wanted to have a granddaughter who is a doctor. From then on, I worked so hard to achieve that common goal we had. Along the way, I spent less time with my family. I became so engrossed and passionate about my dream. 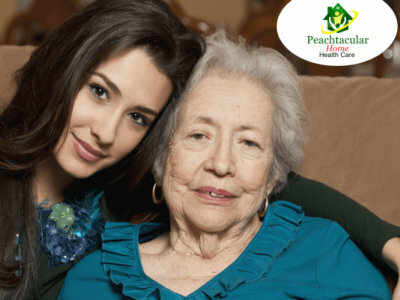 Suddenly, I failed to recognize that I was growing away from everyone in the house, especially from my Grandma who already needed service of a Home Health Care Metro Vancouver, Peachtacular Home Health Care. All of a sudden, I stopped having cooking sessions with her and all other moments we used to share have faded away. It was only when she had a heart attack when I finally realized how much I missed her. But I was too late. She was then in a coma and was staying in the ICU. I tried to talk to her and hold her, hoping that she would wake up once she felt my familiar touch. However, she never did; and after four days of sleeping in that chilling room, she left us to join our Creator. Make a family photo album together. If you notice, every precious moment we have today is always posted on Facebook or Instagram. Although it is convenient to do that, keeping memories in a traditional way would be more valuable; and doing it with your grandparents would be even more meaningful. So, print all the nice pictures of your family in your phone and buy a photo album. When you get home, ask your grandparents to help you put all the photos in it while having a fun reminiscing of the moments captured on it. Cook up your favorite recipe. Can you still remember the dish which your Grandma or Grandpa loved to cook before? Make time to go to the grocery store this week and buy all the ingredients you would need to prepare that recipe. Once you get home, show them what you’ve purchased and ask them to help you prepare the recipe. Always find a way to communicate. They want consistent contact with you even if they do not say it out loud. Every grandchild should be sensitive enough to recognize that. So whether you’re busy at school or at work, always find time to check on them by visiting or calling them through Skype or phone. Never make the same mistake that I did. Make them happy while they’re still with you.